When visiting Flathead Lake in Montana, there is a wide choice of outdoor activities to entertain the whole family, as well as dining and accommodations suited for a perfect vacation. It’s difficult to visit Flathead Lake and not use most of your time enjoying the outdoor recreational opportunities that await you here. Glacier National Park is close by, with its breathtaking views of peaks, valleys and ridges, all originally formed by glaciers. And you’ll discover that Flathead Lake, Montana offers everything a visitor could need for their vacation. 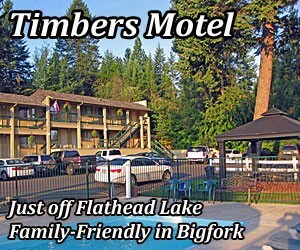 Flathead Lake, MT is surrounded by many accommodations options. The towns around the lake offer lodging with numerous amenities (and great views). When planning your vacation to Montana and Flathead Lake, be assured you won’t lack in fun things to do. 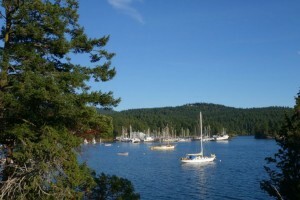 Fishing is great here, and you can get out on the lake in a boat, canoe, sailboat or kayak. Hike around the lake on one of the many trails. Flathead Lake State Park, at the lake’s waterfront, is a wonderful place to come to view wildlife, take a short hike or have a family picnic. Montana’s Flathead Lake is the largest fresh water lake west of the Continental Divide, and provides plenty of large lake trout, whitefish, northern pike and rainbows. The largest fish (42 pounds) caught in the state of Montana was caught here. On the southern tip of Flathead Lake, Polson, Montana offers wonderful dining, a wide choice of accommodations and lots of outdoor fun. 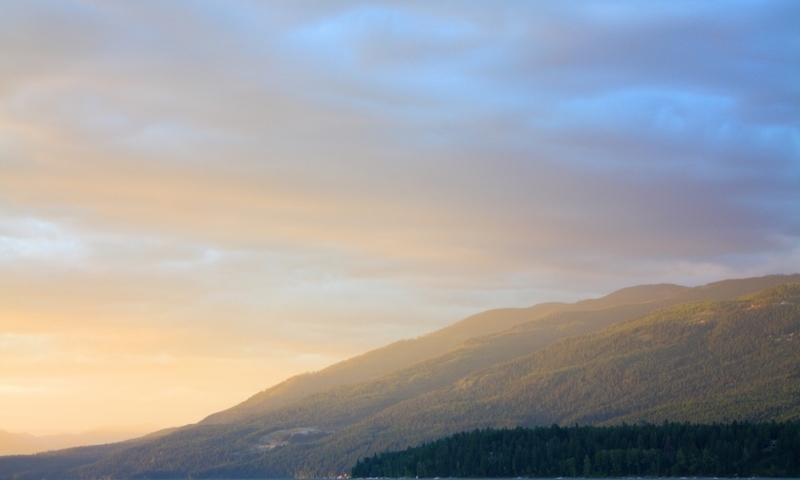 Rollins, Montana, on the west shore of Flathead Lake, has breathtaking views and access to the beaches on the lake. In Bigfork you will find a quaint town with numerous community events year round. The town is on the northeast edge of beautiful Flathead Lake. Swan Lake is separated from Flathead Lake by the Mission Mountains. It’s easy to get there so you can take part in all the recreational opportunities such as fishing, boating and more. Flathead Lake is perfect for some boating adventures. The possibilities are endless when there are many boat launches and marinas to take advantage of, and where you can even rent boats if you don’t have your own. 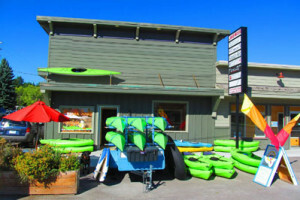 When visiting Flathead Lake, you simply must get out and try taking a canoe or kayak down a river running high with the spring or summer runoffs. Paddling on the lake is enjoyable, too, as you soak up the warm sun. In Woods Bay, Montana, brave souls jump into the icy water of Flathead Lake as a way to welcome in the New Year. If you are visiting the lake on January 1st, you can’t miss the excitement. Flathead Convention and Visitor Bureau offers an online travel guide and information for visitors to the area.